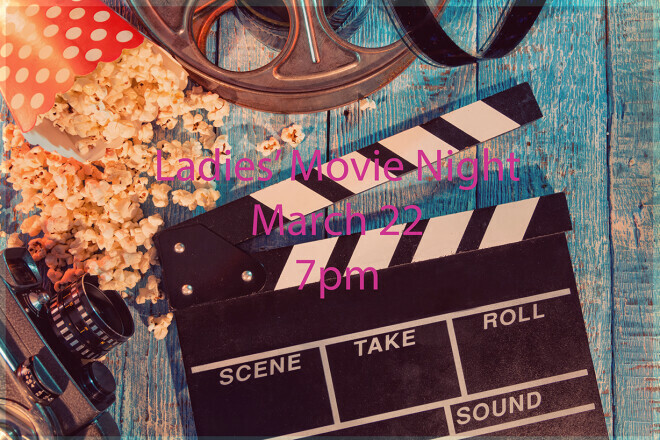 Ladies, mark your calendars for Ladies' Movie Night! Dress is comfortable clothes (pjs are fine), bring breakfast food to share, and a lawn chair if you have one. We'll enjoy a great time of fellowship; as always, invite a friend!